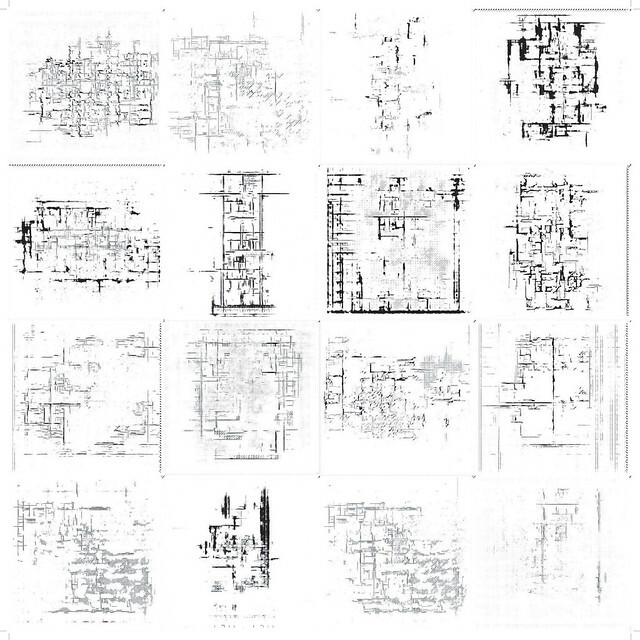 The modernist architect Le Corbusier wrote in Vers Une Architecture, “The plan is the generator.” What is implied is that the architectural plan is the site of creativity in architectural design. 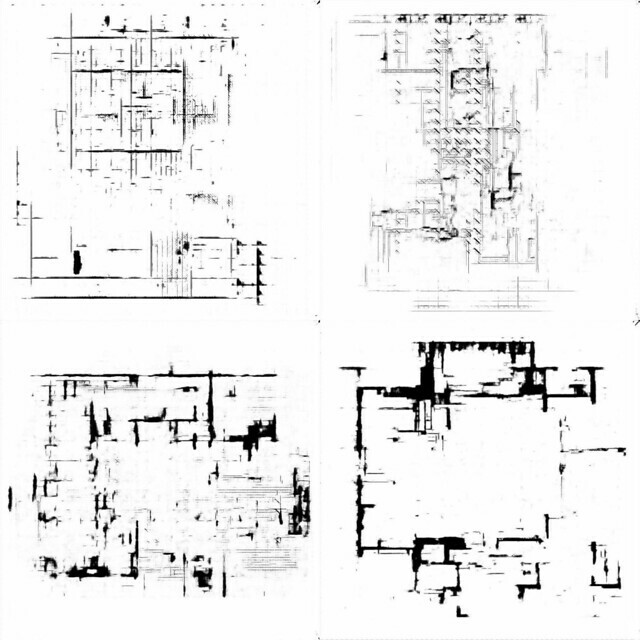 Generating the Generator applies generative adversarial networks to datasets of collected architectural plans in order to find functions that map between ostensibly discrete aesthetic domains such as Modernism and Postmodernism. What we would like to establish is that what we call “creativity” is not a mystical and unknowable force, but is itself a function that can be modeled, made public, iterated on, and improved. Generating the Generator is an attempt at this. 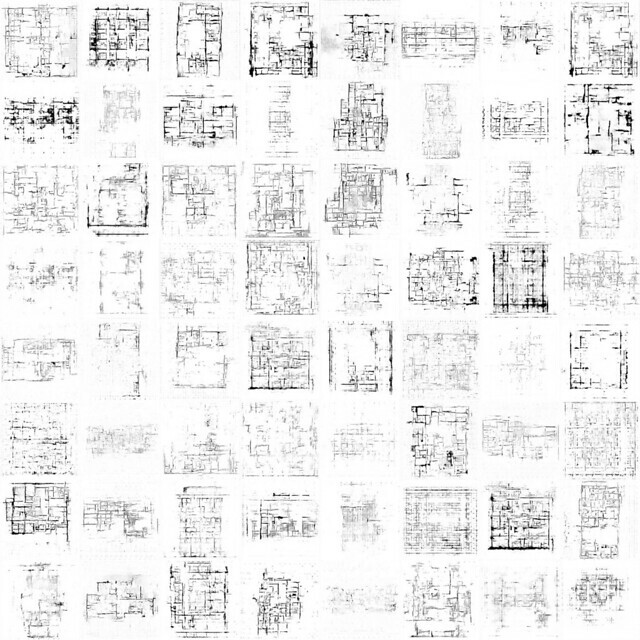 These drawings were generated with an Auto-encoding Generative Adversarial Network (AEGeAN). 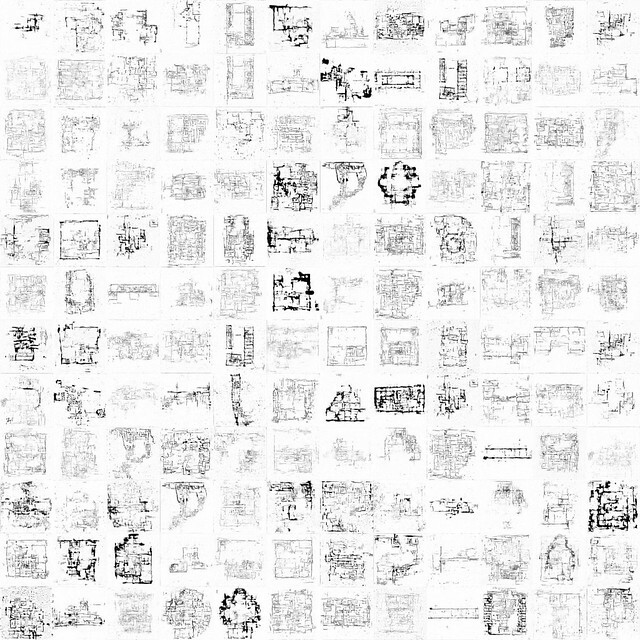 This technique allows us to stably generate drawings at 1024×1024 pixels. 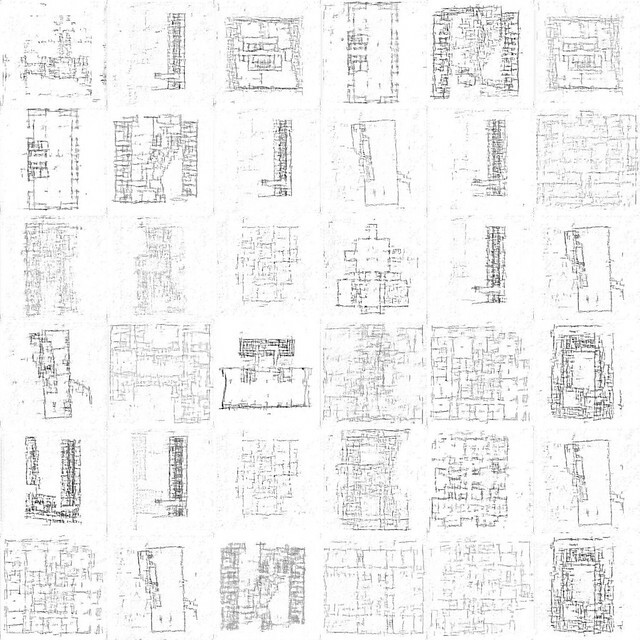 Completed in spring 2017, these are potentially the first instances of generated architectural drawings using Generative Adversarial Networks.